Brethren Christian School has a responsibility to assist students in successfully navigating to high school graduation, and to equip them to be prepared for the college application process through our counseling services. The College Corner page is where you can find all information related to college, SAT/ACT testing, test prep, national and international Summer School opportunities, Financial Aid, scholarship opportunities, etc. Also, pay attention to the Daily Bulletin for college scholarship updates, SAT/ACT test info. and college related information. 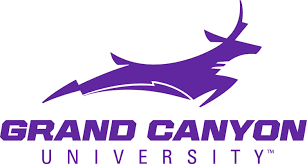 Brethren Christian is proud to offer fantastic Dual Enrollment opportunities for current juniors and seniors to get college credit through Grand Canyon University or Biola University or Duke University. The FPR team put together a collection of short video Orientation Tutorials on YouTube to help new students through the FPR process! Please feel free to share these tutorials in any capacity (website/newsletter/email) with your students! This is a great opportunity to get a jump start on your college learning experience and career. Students spend five days on GCU's exciting campus, including a four-night stay in one of our suite-style dorms! For more information, please view this Summer Institute web page. Ready to get serious about college admissions? Join Catalyst for the upcoming Hybrid SAT/ACT Practice Exam! Take a Hybrid SAT/ACT Practice Exam under realistic testing conditions. Get your detailed score report back, with the questions that you missed and recommendations on which exam is right for you! Gain access to our dedicated testing experts that can help you with setting up a blueprint for success with the SAT and/or ACT exam. All 9th-11th graders: Your PSAT/NMSQT scores are ready online, you'll get an email with instructions on creating your College Board account, going to your online score report, and using your access code to view your scores. BC high school students (grades 9, 10, 11 and 12), are you interested in studying at Duke University? We want to share with you that the Duke Summer Session applications are now open. Through participating in one of the three summer programs at Duke University, you can gain advanced college credit toward a degree at Duke, or possibly other accredited universities, experience personal growth and advanced credit standing over the course of the summer. You can Apply online today to secure your spot in one (or more) of our incredible programs. Reminder! A number of college reps will be on our campus this month! Make sure to visit the one you are interested in! Sign-ups are in the Activities Office on the counter. You must sign-up by 3:00 the day prior to the visit. Remember, students are not able to miss class more than four times for college visits. Join Janice Royal, M.A., Independent College Admissions Counselor as she walks you through each field of the UC and Cal State University applications. Mrs. Royal will guide you to presenting the Best You on your application! Please RSVP to janice.royal@sbcglobal.net no later than October 2. College Counseling - College Reps visiting BC! It's that time of year when college reps visit our campus! Several appointments have already been scheduled, and others will be added. FYI, only reps from colleges our seniors have identified as potential choices are invited. Students are not able to miss class more than 4 times for college visits. Sign-ups are in the office on the front counter. You MUST sign-up by 3:00PM the day prior to the visit.